Alpha hydroxy acids (AHAs) work on loosening the dead cells from your skin's surface and may be natural or synthetic. AHAs are mainly found in skincare products that help reduce wrinkles and improve the look and feel of skin. Look out for the most common ones like glycolic acid, lactic acid and citric acid on skincare labels. Hyaluronic acid helps skin maintain proper moisture levels and what's also great is that it can be used on all skin types. Hyaluronic acid is particularly effective as it can penetrate into skin deeply and "holds", making skin more plump and youthful looking. Retinol is a form of vitamin A that is important for healthy vision, skin and bone growth, so it stands to reason that it's a great ingredient to have in your skincare products around the eye area. Retinol aids in the resurfacing of skin, helping to impart a clearer, more vibrant complexion. Kojic acid inhibits melanin production by blocking the enzyme essential for it, called tyrosinase. It also has a lightening effect on age spots and skin discolorations. Kojic acid is completely natural and has antioxidant, antibacterial and antifungal properties. Antioxidants are vitamins such as A, C and E, and beta carotene that assist in skin repair and fight the free radicals that accelerate ageing. In particular, vitamin A improves elasticity, vitamin C enhances collagen production for firmer skin and vitamin E helps repair tissue. The latter is an amazing ingredient as it actually contours and firms facial skin. Collagen is a group of proteins that supports bodily tissues like skin, muscles and bones. Together with elastin, it gives skin structure, flexibility and strength. 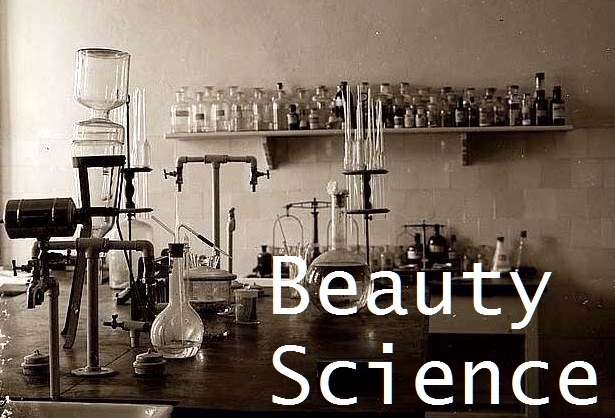 The type used in cosmetics comes from animal sources or from plant derivatives. Collagen is also a great water-binding agent and thus helps keep skin plump and hydrated. Niacinimide is found in Vitamin B3 products such as dairy, fish, green vegetables and meat. It helps improve skin elasticity and rebuilds skin's protective barrier. Its anti-inflammatory and brightening benefits make it a favorite ingredient in anti-ageing skincare. Ceramides are a group of nine lipids, which are important to muscle and nerve cell membranes and make up around 50 percent of the skin's natural protective barrier, preventing moisture from evaporating from the skin. Ceramides can help restore the levels of reduced ceramides in the skin, thus rebuilding the protective barrier so that the skin is hydrated and its appearance improved. Emollients are oils and oil-soluble substances that form sealing barriers on the skin. They help skin to stay soft, smooth and hydrated by preventing moisture from evaporating. Some plant-based emollients are safflower, sesame, and coconut oils. Often coconut and palm oils will be used because they can replace fatty acids and fatty alcohols, which tend to clog skin. Sorbitol is naturally found in berries, cherries, apples, pears, plums, algae and seaweed. Sorbitol is a humectant, drawing water from the air into the skin, so skin stays hydrated. It also prevents moisture loss. Ascorbyl glucoside is a Vitamin C precursor that helps increase skin cellular renewal and inhibits the production of excess melanin. Research shows that the active compound has lasting stability in the presence of heat, light and oxygen, suggesting that it provides skin with a longer-lasting benefit than regular Vitamin C.
Keratin is a naturally occurring protein in your body found in skin, hair and nails. So why do we need more? Well, keratin cells slowly push their way upwards, eventually dying and forming a protective layer of cells. These cells are shed every day, and the process can be accelerated by skin conditions, such as psoriasis. Damage to the external layer of keratin can cause skin, hair, and nails to look unhealthy or flaky. Salicylic acid can be obtained from the bark of the willow tree or can be prepared synthetically and is excellent at helping you shed dead and dull skin to gently exfoliate and reveal baby soft skin.